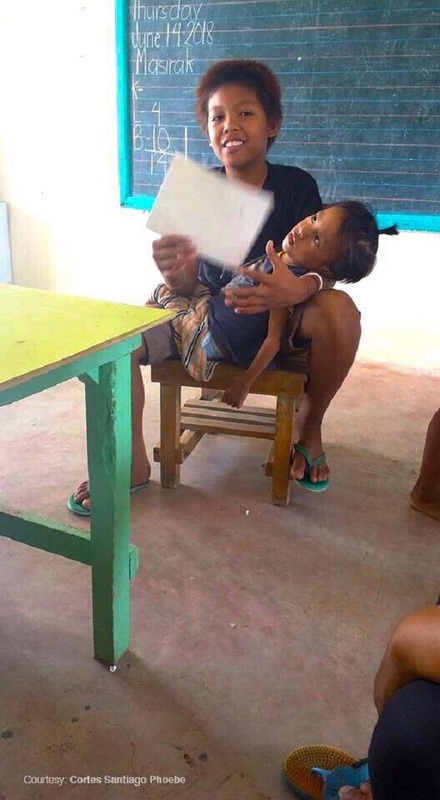 MANILA, Philippines – Being a student is difficult enough, even when all you have to do is go to school and complete your less but it gets extra hard when you have to do something else, like work after school or bring your younger siblings along in your classes because there’s no one else to care for them! Every single school day, a Grade 3 boy named Alexis goes to school – just like every other student across the country. But unlike most students who are in school just to learn their lessons, Alexis has to do extra task of caring for a younger brother who is actually a special child. 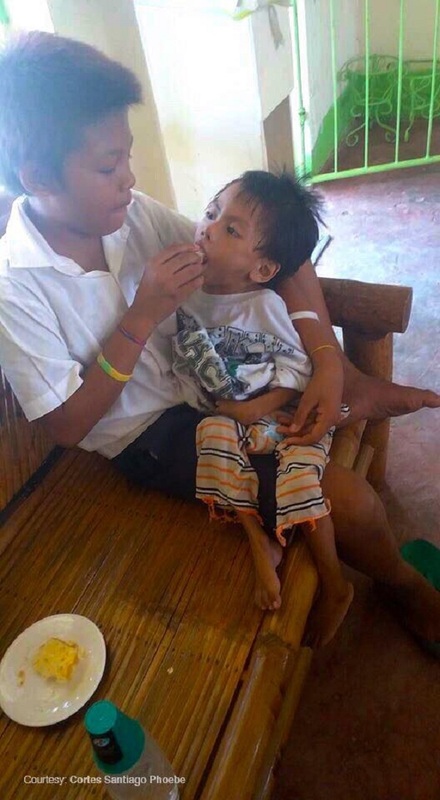 But the loving ‘kuya’ does not mind having his brother around because he knows that there is no one else to take care of him and his brother; thus, he makes sure the 4-year-old boy feels comfortable while he also tries to concentrate on his lessons. At 4 years old, AJ is not like other kids; he could not sit or stand on his own. He also has a difficult time talking and is much smaller than other kids his age. His small stature makes it a bit easier for big brother Alexis to care for him in school but the task does look daunting for this young but dedicated brother. 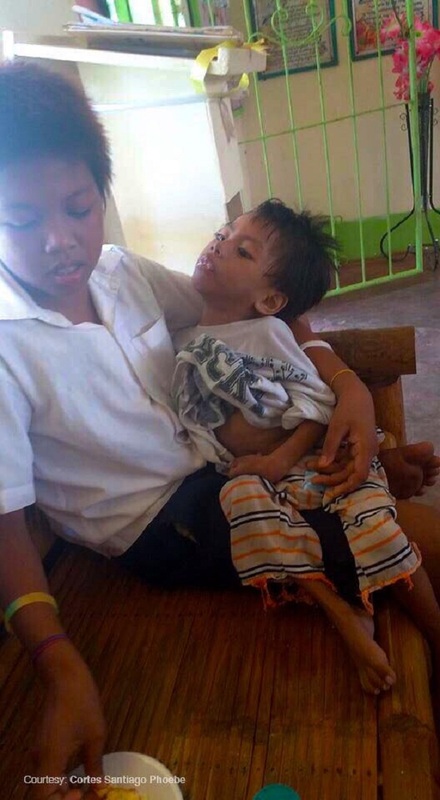 According to comments on the post on the Facebook page of Kapuso Mo, Jessica Soho, the brothers come from Dagami, Leyte but are living at Alexis’ school in Novaliches because their irresponsible parents have abandoned them. 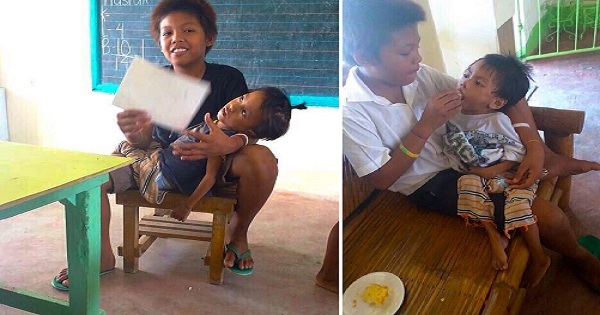 Many of his teachers and classmates have come to help the siblings, and they are allowed to live in school, but their situation still remains difficult and they do need all the help they can get to ensure that someone else can take care of AJ so that Kuya Alexis can focus more on his studies. After all, we all have this belief that education is the key to success; thus, Kuya Alexis can better help his younger brother AJ if he gets a better job in the future, after he finishes his studies.